This is a truly wonderful book. It mixes the tragic-comic, but loving, observation of ordinary lives in rural Second World War and post-war Norfolk with the tragic-comic, but breath-takingly scary, games played by powerful men who very very nearly blew our world to bits in the Cuban Missile Crisis of 1962. It is very real, very poignant, very funny, deeply thought-provoking, and absolutely beautiful in its execution. The writing is clear and true, with no need for literary frills and furbelows because truth doesn't need decoration. It makes for a fun read. Who could resist chapters headed, 'The Perfume Of Axle Grease, The Whiff Of Halitosis', 'A Wink In The Barley', or 'Things Ruth didn't Know About George At The Time'? It had me laughing and crying. My only query about this books is whether or not it should have been published in the Young Adult category. It's certainly a story that would engage many older teenagers, particularly the parts of the book that deal with seventeen-year-old Clem's passionate love affair with his father's boss's daughter. But the teenage readers who would enjoy this book will be the teenagers who are already reading adult books, and would, I hope, read it anyway, whether or not it is age-labelled for them. 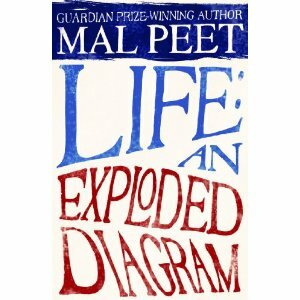 To me, this is a story with particular resonance for my own generation; those of similar, or slightly younger, age to Mal Peet whose childhood has fed into this book. I certainly found echoes with my own childhood, and with the experiences of my own parents and neighbours. I remember the grubbing-up of hedges around the East Anglian fields behind our house to make for the 'prairie' style of farming. I remember the twin-tub washing machine with the ribbed grey hose that hung into, and sometimes flipped out of, the sink, spewing grey water! I remember the 11 plus exam, Ladybird clothing from Woolies, Formica table tops, Meccano, and so much more of the small domestic details of life back then. Some reviewers have objected to the history lesson on the Cuban Missile Crisis that is at the heart of this book. I don't. In fact I'm grateful to have such a very readable explanation of events that I lived through, but was unaware of, as a child. Having said that, I probably wouldn't have enjoyed that 'history lesson' section of the book if I'd read it as a teenager. And I wonder about the book's ending. Was it an add-on designed to engage more with teenage readers by bringing the story into the new millennium and to events which have happened in the lives of today's teenage potential readers? To me, the book would have been even nearer to perfect without that extra chunk at the end. This is a book that I will be buying for friends for Christmas. Why? Because it is the funniest, most insightful, interesting, and, above all, essentially kind, novel that I have read for a long time. By the way, if others, like me, are left puzzled by the title, I've been given a possible explanation by a friend. Her husband told her that comics of the 50s and 60s, such as The Eagle (which gets mentioned in passing in this book) apparently had a middle section that gave an 'exploded diagram' of a bit of machinery or something from nature, or a building, and this book does the same trick; looking at chunks of life that come together to form Clem's one life. I have heard a lot about this book but really glad to have read this review before I "met" the book. Some good points here, Pippa, and they haven't put me off the book. In fact will help. Re the history lesson comment. I sometimes wonder if there's too much of a fashion for loading books with high meaning and tough issues and total relevance? A kind of tick-box "get in as many issues as you can" approach that can overpower the reader, teen or older? Not sure. Pippa, I agree completely! I will send you a link to my review of the book on normblog and I will TWEET about this review of yours! Fabulous stuff. Agree about the YA/Adult thing, too. I really loved this book - one of the best YA/Teen books I've read all year. I also think it falls into the YA/Adult category, but any teen ready for it will really enjoy it and get a lot out of it. I know I did (no, I'm not a teen!). Thanks for a great review.